South Kesteven District Council has unveiled its first new council homes in the district in over 10 years in the first of a series of projects. 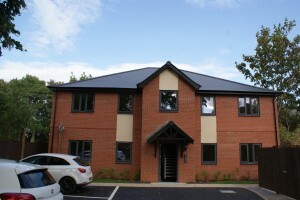 The Egglestone House development comprises of four two-bedroom flats on Sandon Road in Grantham, part of an initial £3m two year building programme to provide 33 new homes in South Kesteven. Demolition work started in January to clear the site with contractors Woodhead which now includes homes that include a mix of property types that will suit tenants of all ages and meet specific needs of people with disabilities. High energy performance is a key feature in the new homes, providing affordable warmth for residents and meeting ‘Lifetime homes’ standards, a set of 16 design criteria that provide a model for building accessible and adaptable homes. 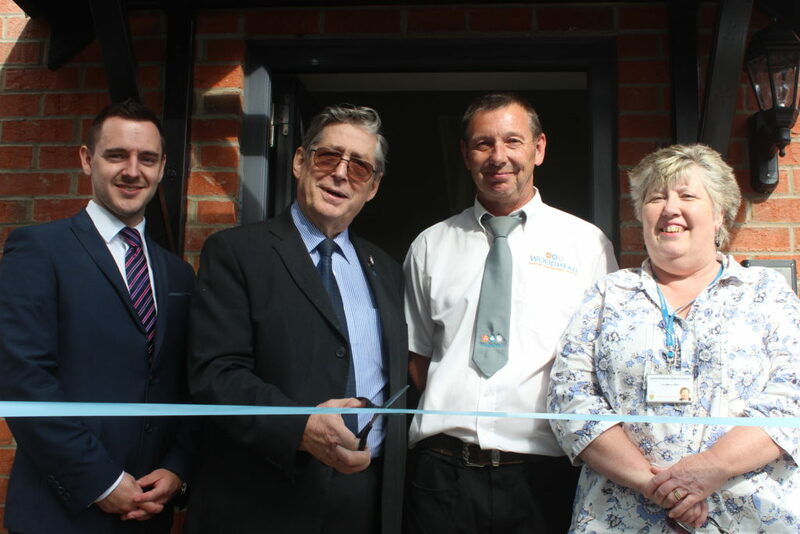 Portfolio Holder for Good Housing Cllr Terl Bryant joined SKDC Leader, Cllr Linda Neal, SKDC chief executive Beverly Agass and Glenn Slater, Business Development Director at Woodhead for the ribbon cutting on the site on Wednesday (August 13). Cllr Bryant said: “These are attractive new homes that hail the first step in our drive to help provide a much needed increased number of council houses at sites across South Kesteven. “Housing legislation has changed in recent times to allow us more flexibility in terms of building new homes and this has enabled us to deliver these excellent properties. “These homes will be templates used for development of social housing in the district in the future. “The homes here at Sandon Road are an excellent example for future projects and make a much needed addition to our housing stock. They are a smaller size than the bulk of our properties and will help us to meet the needs of our residents and current legislation. Craig Pygall, Construction Director at Woodhead commented: “South Kesteven District Council has embraced the EMPA process which enabled us to be involved early in the project to develop their design. Pictured are: L-R; Michael Broadhurst, project coordinator for Woodhead’s, Cllr Terl Bryant, SKDC’s portfolio holder for good housing, Peter Winson, Site Manager for the Sandon Road Development and Cllr Linda Neal Leader of SKDC.